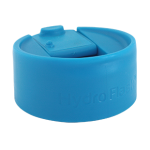 The Hydro Flip Lid is the instant conversion kit for Wide Mouth Hydro Flasks. Coffee, tea and other hot beverages are just a flip away and consuming hot beverages on the go is as easy as can be. 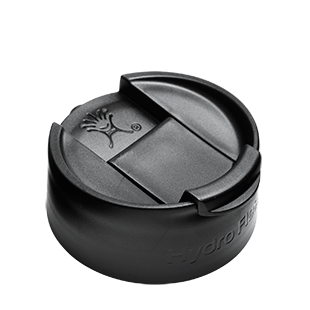 Like all Hydro Flask caps, the Hydro Flip is made out of PP#5 and is BPA-free. 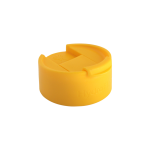 The lid features a flip-top opening with rubber stopper to plug the opening and help prevent spills when not in use. 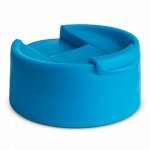 Hydro Flask is now offering Hydro Flip Lids in four new colors along with the original black. The colored flip lids are a perfect opportunity to personalize your Wide Mouth Hydro Flask. New colors include Electric Blue, Banana Yellow, Limeade and Perfect Purple. 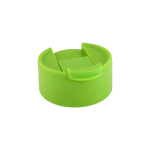 The Hydro Flip lid fits our 18 oz Wide Mouth, 32 oz, 40 oz and 64 oz flasks. Please note that the Hydro Flip lid does not fit on the older style Wide Mouth flasks.